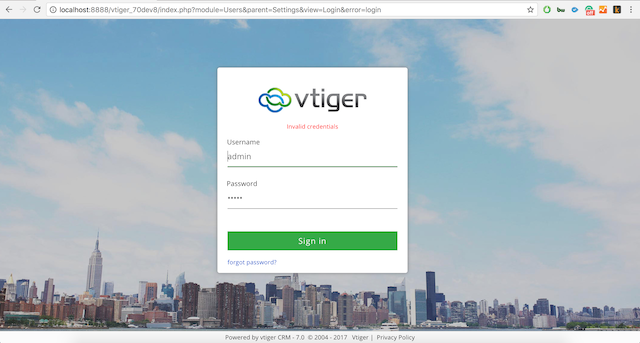 How to customize Vtiger Login Screen - 3 Easy Steps to improve it now. In Vtiger 7 has a brand new user interface (UI) with a lot of improvements that we have already covered this previously in another post. One of these improvements was the new vtiger login screen. In this post, I will show you three, straightforward ways to improve your login screen, remove the annoying ads, add your logo, etc. The new login screen includes a “What is new” section, right on the login screen where vtiger promote their post and news about mostly the on-demand/cloud offering. 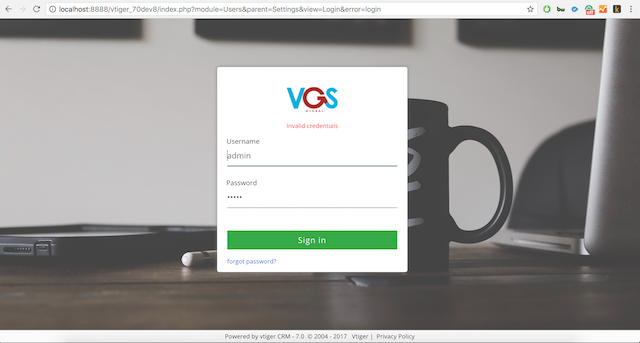 The first thing you need to do, both to improve your user experience and also from a security point of view, is removing the ads from the login screen. About user experience does not make sense that each user has to see an ad each time they login into the CRM. Remove lines from 260 to 309. The next step in our project is to change the vtiger logo with your company logo. To do so, let edit the same file again. As you see, with just three easy changes I end up having a professional Vtiger login screen with no ads or logos on it. Don’t have time to do it your self? Make sure to checkout out custom development and support services. 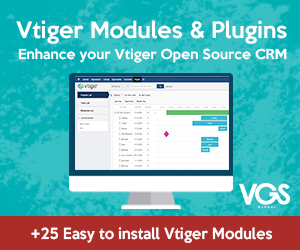 An experience vtiger developer from VGS Global’s team can handle this for you.